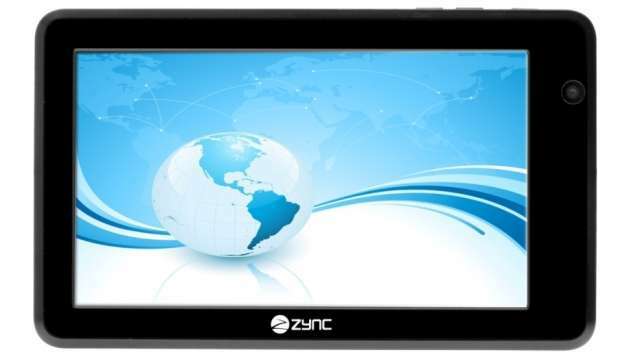 Zync launched what is India’s first Android ICS-powered tablet. With the ” Zync Z-990 ” moniker the tablet is a 7″ device with a capacitive screen. Specs include a 1.2GHz processor with 1GB of RAM and a weight of just 380g. The has full 1080p video playback and the ability to connect it to a TV using the HDMI port on it. Keyboard, mouse and even storage flash drives can be connected using the USB port. The product bundled includes a screen guard, a pouch and a lycra sleeve. The Price of the Tablet is set at just Rs. 8990 at Launch. Don’t buy this tablet, it is made of cheap plastic and not good. Sometimes touch screen does not respond. Poor wifi connectivity. Lower sound quality. When watching movie some frames skip and sometime voice not coming. memory error. No android market,google play by default. When you ask support this they always say “you don;t know how to operate tablet. Tablet has no fault”. Not responding emails. After 2-3 calls they are not attending my calls.